Everyone wants to get a job that can eventually turn into a career. Most careers require an extensive amount of training. Generally, you can’t do both of them at the same time, with one major exception: the healthcare industry. Whether you want to lead an organization, run a business, do research, or care for patients at the bedside, the healthcare industry provides the whole gamut of opportunities for individuals. The healthcare industry has championed working while furthering your education every step of the way. In addition to offering flexible and convenient education opportunities, employment projections for the healthcare industry are only looking up. According to the Bureau of Labor Statistics, between the years of 2014 and 2024, healthcare occupations and industries are expected to have the fastest employment growth and add the most jobs. What’s more, healthcare support occupations, healthcare practitioners, and technical occupations are projected to contribute the most new jobs, an estimated 2.3 million jobs by the year 2024. The healthcare industry has responded to the projected demands. They have increased educational opportunities in universities and technical schools, made education more flexible, and many employers will help pay for tuition for employees. With only a high school diploma you can be a pharmacy technician, medical transcriptionist, or a home health aid. With some technical training, you could become an EMT, phlebotomist, massage therapist, MRI technologist, or a radiologic technologist. 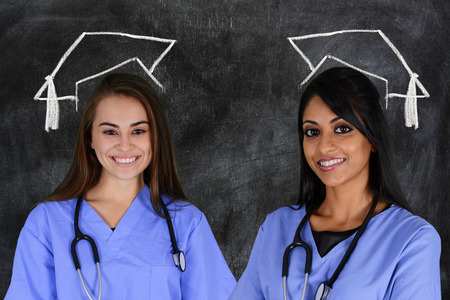 With a two-year degree, you can become a nurse, medical assistant or lab technician. For a nearly comprehensive list of potential healthcare jobs and their educational requirements, click here. Unfortunately, you don’t hear much about the benefits of going to school while working. Universities are not pushing this because they want incoming students to live on their campus and pay for the meal plans, which bring universities a lot of money. However, there are some real benefits to getting an education while working full time. Paying off your school debt. On average, nearly 70% of college graduates finish college with debt. The average debt for the average student is $30,000. Working during school can help to pay off debt as you take it out. This significantly reduces the amount of money you need to take out and reduces the amount of interest you have to pay during the span of your loan. The means getting to zero debt significantly faster! Many jobs within healthcare pay well with little to no education required. After graduation, many healthcare jobs have immediate openings and great pay. Valuable experience. Graduating with job experience goes a long way in getting that first job. Chances are, if you want to get into the healthcare industry, you can find many entry level jobs that you can do around your college schedule. These jobs can help to build your resume, gain real world experience, develop professional relationships, and build your skills and confidence. Develop time management skills and set priorities. This might not seem like a big deal to the average high school or college student, but for people who try to balance life with work and family time, it is a real thing. Managing your time and setting priorities are skills that any employer would want, too! Qualify for benefits such as retirement, health insurance, or tuition assistance. Often times employers will be able to work around your school schedule, especially if you are a valuable asset to their team. Upon graduation, you could have a job lined up before getting your diploma! If you still desire to advance your career opportunities after getting a degree or after starting your career, there are lots of options available. Many colleges and universities allow for you to get a graduate degree online without stepping foot in a class. Some now offer hybrid classes, which consist of a mix of online and classroom learning. Most people don’t stop work and take out loans to get them an advanced degree, and schools have taken note. In just 2-4 years of part-time school, you can get a master’s degree. Think about it, by age 30 you could have over 10 years of relevant working experience, an advanced degree, and no debt. A strong argument for working while getting your education! Tyler Faust is a full-time registered nurse and part-time freelance healthcare writer. 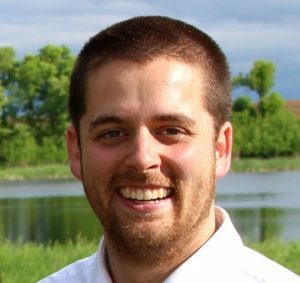 He has his BSN and master’s degree from Winona State University and has worked at Mayo Clinic for over 5 years. Tyler is a creative thinker, strategist, and passionate about leadership.